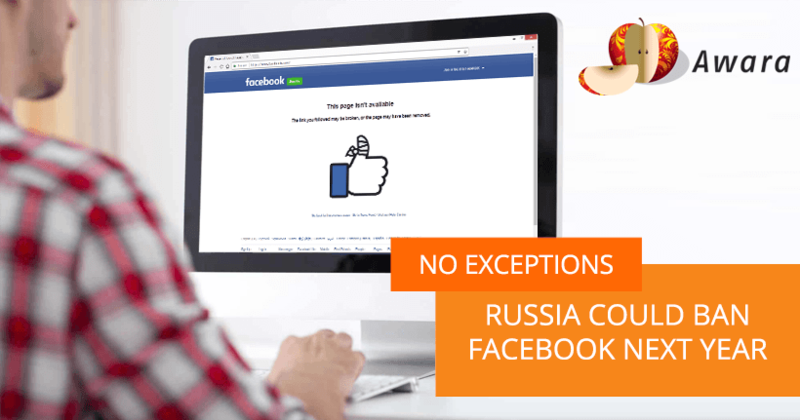 Will Facebook be banned in Russia? Alexander Zharov, Chief of the Federal Communications Agency Roskomnadzor, stated that Facebook may face a ban in Russia next year if it doesn’t comply with the Personal Data law, which requires foreign companies to store the personal data of Russian citizens within the country. It has already happened with professional social network Linkedin, which was officially blocked in November 2016. Facebook still has some time to consider various options for data storage on servers physically located inside Russia, but Roskomnadzor mentioned having plans to launch an inspection to check the social network as early as in 2018. Another popular social platform – Twitter – has already announced its plans to localize the personal data of its Russian users: according to the company’s official letter to the Russian regulator, the transfer of relevant data to servers based in Russia will be complete in the middle of 2018.